Myojo Waraku is an annual festival taking place in Japan’s western city of Fukuoka with a flavor of America’s South by South West (SXSW) festival, showcasing prominent startups, digital media and music performers from the land of the rising sun. 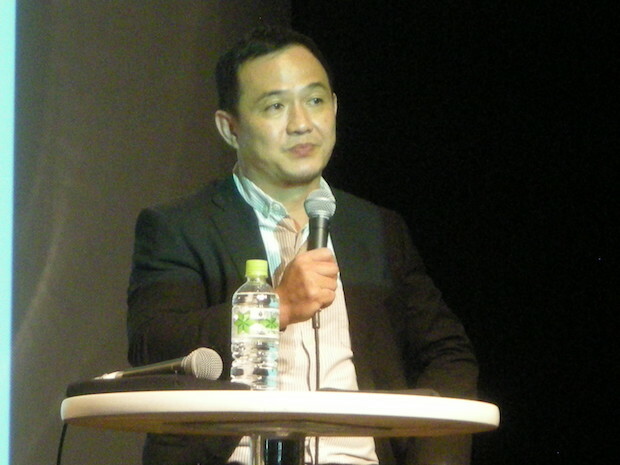 The first edition took place in 2011, followed by holding of the festival’s global versions in Taipei and London. 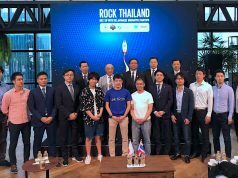 This year’s event was kicked off with a pitch session today where five Japanese startups delivered a pitch to a crowd from the local startup community and investors from outside Japan. Alpaca has developed a forex trading platform using the deep learning technology called Capitalico. 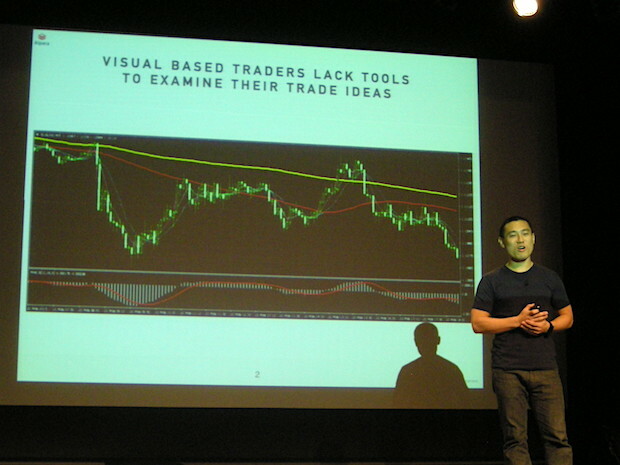 Based upon image recognition deep learning technology, the Capitalico platform allows users to easily find a forex chart from an archive since 2001 as well as a live forex chart which is similar to what you have on hand so that users don’t need to acquire programming skills to backtest their trading strategies. 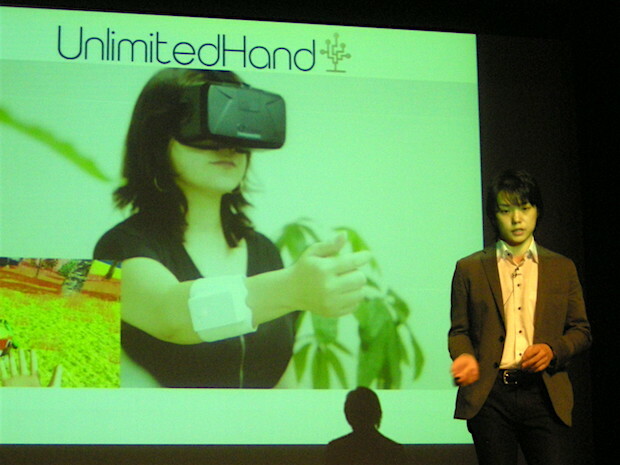 H2L has a haptic game controller called UnlimitedHand. With a bandage-like device having motion sensor and muscle displacement sensor around the arm, it allows users to input their hand motions into a game. The device has a functional electrical stimulator that gives users a virtual touch, allowing users to “feel” the impact or the touch of a character in a game. 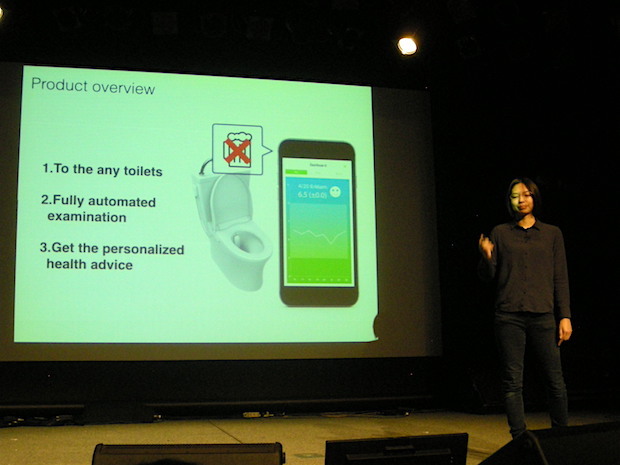 Symax is a sensor device that can be attached to western-style toilets, telling users their health condition by analyzing their urine on a daily basis for a monthly charge of about $10. Based on a unique analysis algorithm, their technology detects lifestyle diseases such as gout and diabetes with 99% accuracy. The team won at a startup competition at Health 2.0 Asia in Tokyo earlier this month, looking to acquire companies which want to optimize medical cost for their employees as well as nursing homes and condo developers which serve elderly people in particular. 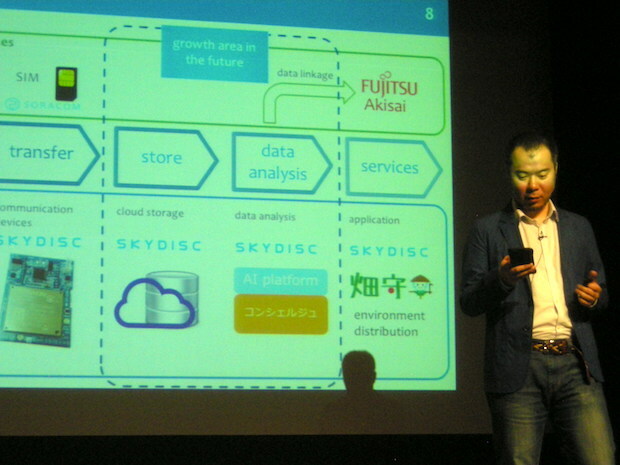 Skydisc has developed a variety of sensor devices and the cloud for storing, then analyzing data from these devices. Their device typically can detect temperature, humidity, three-axis acceleration, carbon dioxide concentration, and PM2.5 (particulate matter 2.5) concentration so that it can be applied to environment managing businesses, logistics and distribution, agriculture, and other business sectors. 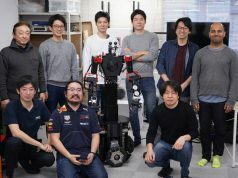 The company is expecting to secure funds worth 110 to 150 million yen (about $897,000 to $1.22 million) by the end of this November. 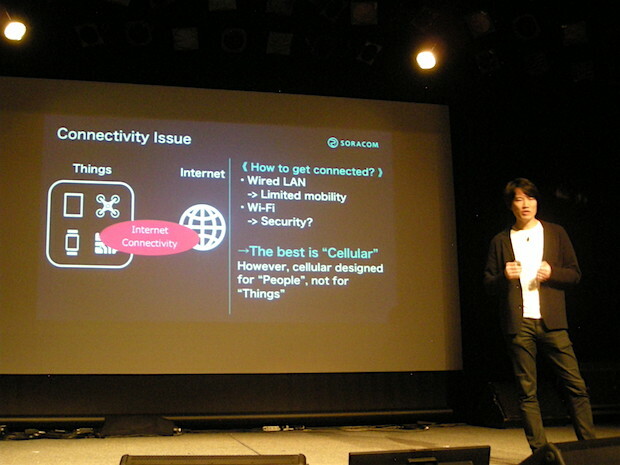 Soracom is a mobile virtual network operator (MVNO) focused on distributing SIM cards, allowing IoT developers to distribute SIM cards for 3G or 4G (LTE) cellular data connectivity under their brand to customers. In this way, it aims to help IoT developers shift their business model from from hardware sales to recurring subscription-based charging. 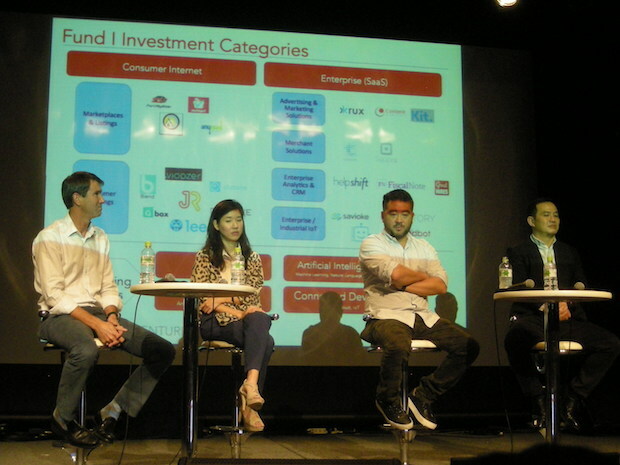 This panel was moderated by James Riney, the new head of 500 Startups Japan, the regional microfund by US-based startup-focused investment fund 500 Startups. 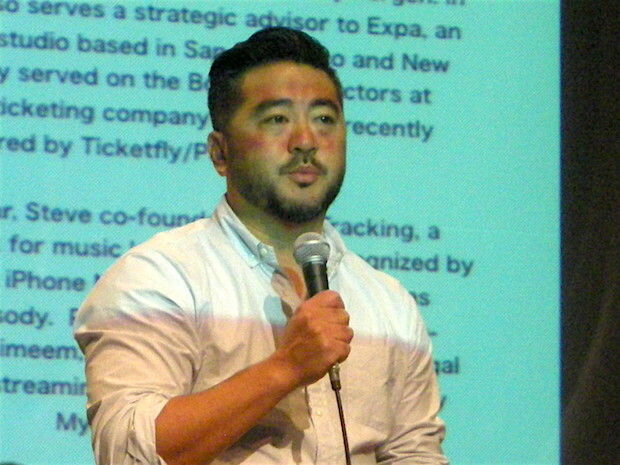 Keith explained that many investors in the US are looking at the Japanese market, exploring investment opportunities especially in key categories like hardware development, one of the strengths in the Japanese startup scene. 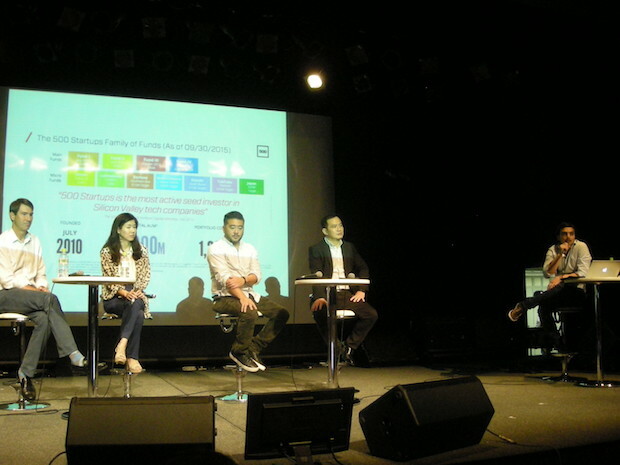 Tina pointed out that Japanese angel investors are looking for opportunities outside Japan, encouraging more entrepreneurs to gain a mindset of risk-taking. Chee-Kong says, one of the key values in transitioning trends in the region is that more investors have begun investing in startups because of their company or product quality rather than the conventional criteria of their founder background or experience in business. 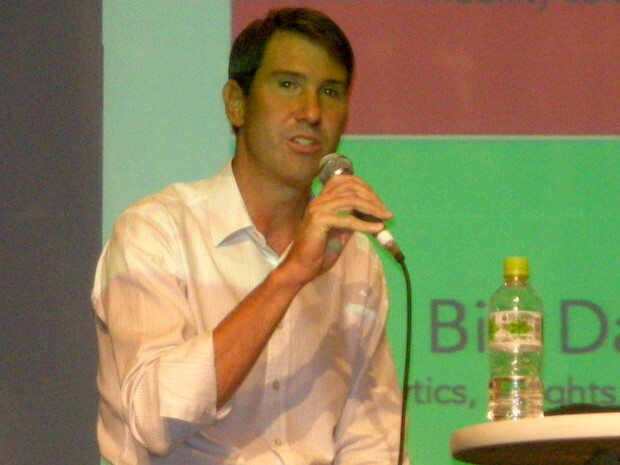 Steve says that many Japanese companies have turned to Silicon Valley and spend a week or more there to meet up with local entrepreneurs, which is very useful for both sides in understanding each others. 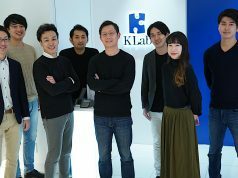 In addition, he also pointed out that more startups from Japan and Korea are starting by forming a multilingual team, developing products targeting the global market from the beginning, in contrast with conventional startups starting the global expansion after stabilizing the sales in their home turf market.